We are very satisfied with the size and location of the unit chosen however upon opening the unit for the first time we had to sweep the cobwebs off the handle of the door and sweep the inside from dirt and dust. Maybe air blowing the outside of the units is something that can be done every now and then to prevent the build up of spider webs. Otherwise all is good. Thank you for your review. We do work on keeping the spiders and cobwebs down - it's amazing how fast they build a web - overnight in fact. And we've found out that spiders do not groom themselves like other pests so unless we spray the spider itself, no pest chemicals will work on them. Thank you for your review! I have rented storage units before but I have never rented storage units as nice and clean as these units ,very helpful staff. I did my first drop off on Wed the 17, and again on Thrus the 18. I was impressed to hear music playing and a cart available. I want to thank you for that. I stopped on my way out and walk into the golf shop to see what it was. I meet Alex your Son and also was impressed how well he carried himself for such a young man. He is very proud of you and your accomplishments. My Daughter (Karen Wise ) is also PGA member in the North district of Florida. I forward her your name and she will look for you at the next meeting, I will try and stop in the next time I'm there to introduce myself. Thank you again for a pleasant drop off. Michael Girard I would just like to say from the first moment I contacted Rolling Acres Self Storage it has been a pleasant experience. Terri was extremely knowledgeable and helpful. North American Van Line Service, utilizing a 54' long truck, delivered my household goods directly to the unit. Your facility handled NAVLS' requirements without a problem. The gentlemen unloading the truck were working hard and sweating up a storm. Terri brought out water bottles to them which was greatly appreciated. The unloading took about four hours, so the piped in music to your units made the time fly. Your facility is well maintained, and being air-conditioned has definitely eased my wife's mind. Your employees are pleasant, responsive, and accommodating, traits I look for in any company I do business with. 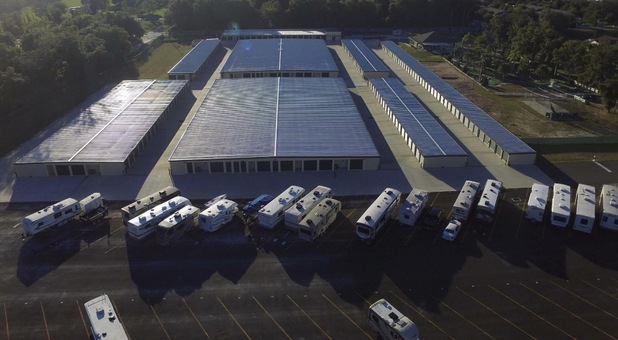 I have and will continue to recommend your facility to others, including the new RV storage. Thank you for taking the time to leave us a review. So glad you felt welcome. I'll Return if the need arises. It was great using your facility and I will certainly use it again should the need arise in the future. Thank you and I hope we are able to help you or your friends should the need ever arise. Very accommodating, very clean, great to do business with. Everyone I talked to was friendly, very helpful and professional. I'll be talking to others! found the space dry and clean. Left unit in same condition. A great place to store my boat. Thanks for always a kind word and a smile. It's a pleasure doing business with you and your family. Ken Fox ! Just brought my sister-in-law over to drop off some of her furniture. I am very impressed with the exterior of the building, and more impressed on the inside. Her unit was very nice and air conditioned. Also enjoyed hearing music too. I am interested in a future rental. Very nice place. Excellent staff that gave me all the information I need to compare with others in the area. Thank you, Terry. Moved my sister to your this place and I was quite surprised. I've stored my personal things in more than one facility. This place is clean, has air conditioning and music too. I will be sure to tell others. Thank you!! Hope your sister feels comfortable. Thank you Terry for showing me around and giving me prices for storage. I am moving soon and will be sure to rent because you helped me a lot. I moved a client to Rolling Acres Storage, and was immediatley upset that the unit was inside. I was pleasantly surprised to find rolling dollies and A/C. Everything was extremely clean, compared to many others I've seeen. Excellent choice. I would recommend to others. Word of mouth rates high, in my humble opinion. Some of our neighbors raved about this facility so I brought a friend, and we never looked any further. Ms. Terry helped reserve a unit, arranged for a U Haul truck and answered every question possible. Best by far. Looking for a place to store your precious posessions? Start here! Ask for Terry. Get the best information, the cleanest facility. Friendly, helful, and straight forward information. Start here and look no more. Thank you so much, Terry. I will tell everyone about RASS!!! Asked How did we do? Clean, spacious area with efficient staff in the business area. Only took a matter of a few minutes to finalize the contract for the unit. My only suggestion -- you have a little guy riding around cleaning vacated units. Couldn’t this same little guy lead you to your unit on the first day? We went to the wrong area and he snipped at us as if we were STUPID!!! Just saying!! So very sorry you weren't greeted by all of our staff with a smile and assistance. We aim to give the best customer service around. I sincerely apologize for this. Look no further for storage needs! Very well maintained units with good customer service. i GOT A FAIR RATE, EXCELLENT SEERVICE AND FRIENDLY CROSS COUNTER CONTAQCT. wHAT MORE DOES ONE NEED! great facility with wonderful owners and staff. I did my research and checked out every storage facility in three counties before I picked Rolling Acres Self Storage. I wanted my items to be protected, and bug free! I also wanted to be able to come and go through a locked gate. Some facilities had locked units but were not locked up to the public, which means anyone can drive up to those places at night and have a chance to break in. I appreciate the fact that the owners know me by name, and go out of their way to keep things pristine. I also like being able to make my payment by credit card instead of driving down each month. Keep up the great work! **p.s. I have two units, and got my employer to rent 3! so that tells you something!! Customer service and great facilty! SUper helpful staff and great prices. Really apprecate your e-mail reminders and your staff is wonderful. Rolling acres staff member Michael Glrard is awesome. She always goes above and beyond to assist her customers.Rolling acres Storage are by far the best storage units around and you can't beat the price. That woman manager made me feel like a valued customer. The maintenance man seemed to be knowledgeable and available when needed. What a great staff. The service I have received from Michael and his family has been EXCEPTIONAL!! Neat, clean, priced right and great people to work with. You will not be disappointed using this facility. All areas are clean, well maintained and organized. Staff will work patiently with you to find a unit that appropriately fits your needs. 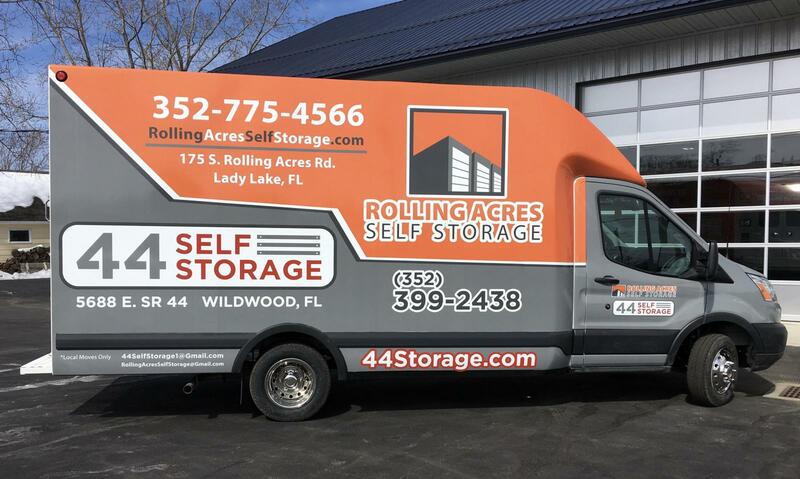 Rolling Acres Self Storage met all our expectations for our 4 month lease. Our possessions were secure, dry and bug-free. Very nice people in the office. We will use this facility again. This storage facility is very clean, neat and well organized. Staff is extremely helpful and very easy to work with. We have been renting a unit for a year now and are very pleased with the service, the cleanliness of the unit and surrounding area, the safety. I have no comments for improvement. We are very satisfied. I've had my storage unit for 2 years. I was in my unit in December and found everything exactly the way I had left it. It was clean and the A/C working. I also have like the convenience of paying on line. I had a few problems with my Credit Card and found them very helpful in getting it straightened out. It has worked well for me as in the process of buying another home and feel my things are in a safe and secure place. Margaret Vogt Email: pevo217@yahoo.com Phone: 518-339-3665 Facility Name: Rolling Acres Self Storage Facility Address: 175 South Rolling Acres Rd, Lady Lake, FL, 32159, United-States Unit #: 368 Hi! We would like this rating to be seen because we are very happy with our storage unit, and have always been treated by all staff members in the highest regard and always found the facility clean and well air-conditioned. We would like to rate you with 5 stars! I've shopped around and found that their a/c units are cooler at about 78degrees. The property is kept clean and it's a brand new facility. I needed a special size in a/c and they worked with me and made it happen. Thanks!